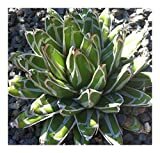 Agave victoriae reginae growing succulent leaf plant of the genus Agave also known as Queen Victoria Agave, Agave victoriae reginae perennial evergreen used as ornamental plant, can grow in mediterranean, desert, subtropics, temperate climate or as houseplant and growing in hardiness zone 7-11. 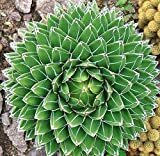 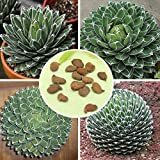 Leaves color green mostly with white lines but can be without, leaves are fleshy and grow in rosettes structure that create like pompon or mix shapes, the leaf in a spear shape with little spines in the edge. Flower color is yellow, the flowers grow on stalk.